Carpet Cleaning Casper: Is Moisture Resistant Carpet Pad Worth It? There are few things nicer than new carpet in your home. It’s an instant boost to the aesthetics of your home. New carpeting makes the whole house feel, smell, and look nicer. One of the things you’ll want to consider before installing that new carpet, though, is what kind of carpet padding you want to get. Carpet padding comes in a variety of thicknesses and with different features and benefits, and which one you choose will largely depend on what kind of budget you have to spend. You can end up spending as much on the carpet padding as you do on the carpet yourself, but the good padding is often worth the expense. It can make your carpet softer to walk on, help insulate your home, and can even extend the life of your carpet. 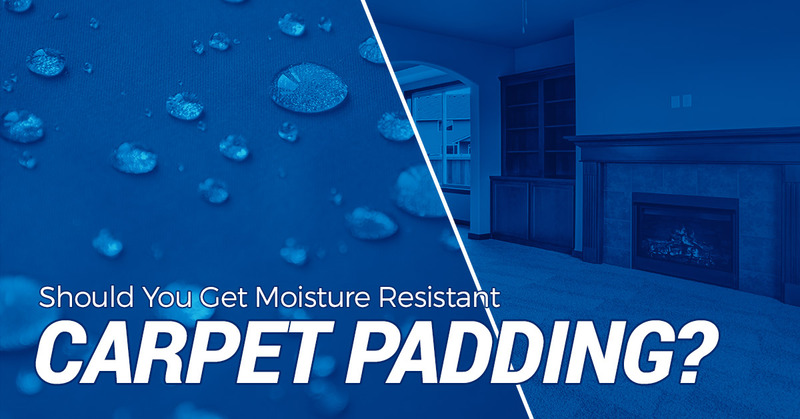 One of the carpet padding features that many carpet installers are highlighting right now is moisture-resistant padding. Before you shell out money for this feature, you need to ask yourself: is it really worth it? Moisture-resistant carpet padding does exactly what it says it does: it resists moisture. More specifically, it prevents moisture from soaking into the padding. That means that pet accidents and liquid spills don’t soak into the padding. With traditional carpet padding, that’s exactly what happens. The liquids are soaked up by the padding, which can end up smelling or even developing mold or mildew. Moisture resistant carpet padding has a layer of moisture protection on the top, so the liquids instead get soaked up by the carpet itself. That might not sound much more appealing, initially, but in reality, it’s much easier to get stains and spills out of your carpet backing then it is out of the carpet padding that’s underneath. This can help eliminate odors from lingering and mold from growing beneath your carpet. Moisture resistant carpet padding probably isn’t necessary for every home. If you have pets or kids, though, it might be something to consider. It will make it much easier to clean up after accidents and your professional carpet cleaner will be able to treat any stains that are left. If you love the idea of water resistant carpet padding but can’t afford it for your entire home, consider installing it selectively. Living rooms are good places for it, as are dining rooms where there is a greater chance of a liquid spill. It’s probably less necessary in entrances or bedrooms, but consider your household and where the most spills happen. That’s where you’ll want the carpet backing installed. It’s also especially great for basements, where moisture is more likely to come in the form of a flood or leak. Don’t forget, though, that moisture resistant carpet padding isn’t perfect. Liquids can still seep into the padding at seams of the padding. Additionally, if you allow the liquids to stay unattended on the carpet, it can eat away at the carpet backing and end up aging your carpet much faster. While this kind of carpet padding has it’s time and place, it’s not necessary nearly as often as a salesperson would have you believe. For the most part, you’ll treat your carpet the same no matter what padding you have installed. You’ll want to attend to spills and accidents as quickly as possible; allowing them to sit can damage your carpeting. Soak up as much of the moisture as possible and then attend to the stain. Also, professional carpet cleaning is design to clean your carpets from the padding up. That’s because our machines are built to provide deep down clean, not just a surface clean that you’ll get from many vacuums and home carpet cleaning machines. We get all the way down and remove stains, dirt, and other material from your carpets and leave them in like-new condition. So if you don’t have moisture resistant carpet padding, you can still get a deep down clean that leaves your carpets nearly dry and ready to be lived on again. 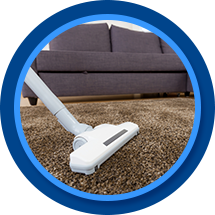 Are you looking for a carpet cleaning team to help get your carpeting deep-down clean? Get in touch with AA Super Klean! We’ll give you a free quote on our services and show you how great your carpets can really look.